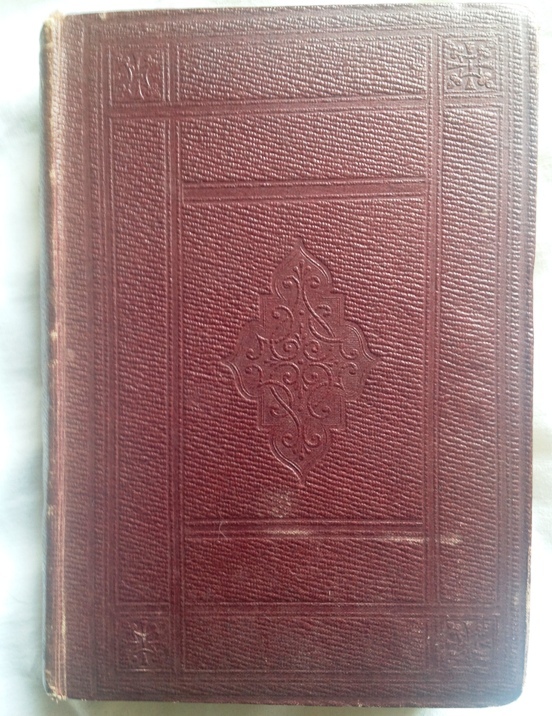 Octavo, 7.5 x 5.5 ins, original purple/brown cloth, covers panelled and ruled in blind with floral central motif, spine lettered in gilt, spine faded, original brown endpapers with faint cracks on inner hinge of endpapers, pp.xii + 343, Edmonds & Remnants binders label on back inner endpaper, an excellent copy. First edition. Samuel Smiles [1812-1904], was a Scottish writer, and social reformer. 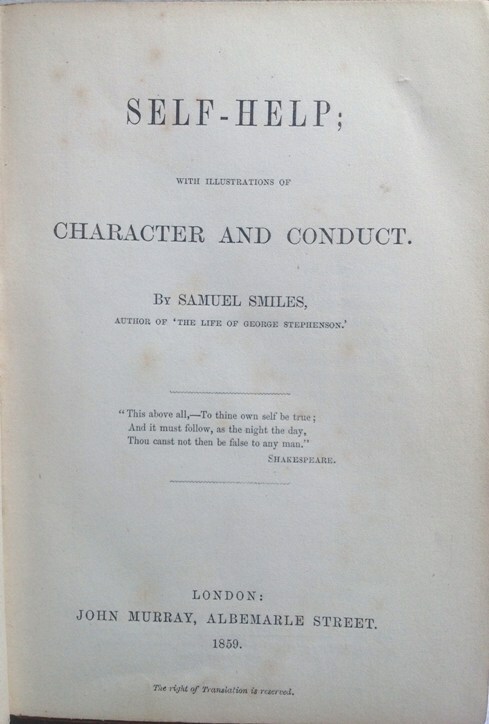 Self-Help became an immediate best-seller and one of the Victorian’s most important statements on the virtues of hard work, thrift and perserverance. Smiles was a critic of rapacity and complacent affluence and advocated virtues central to the projects of other 19th century institutions that actively encouraged cultivation of the intellectual and moral working-class self such as mechanics’ institutes, public libraries and people’s colleges. Smiles later developed this theme with Character 1871, Thrift 1875, and Duty 1880. With Charles Darwin’s On the origin of species and John Stuart Mill’s On Liberty, one of the influential books first published in 1859. This first edition is infrequent and uncommon on the market, especially in the original cloth binding, unrestored and in excellent condition.